I am sitting here with my trusty laptop typing away - I can hear poor Gemma calling outside. She is so heartbroken at the loss of Gus. Every day since his death she calls for him. They did everything together - each night as dusk was settling in they would walk down to the dam together and have a swim before settling for the night. Quite romantic! Since we lost Gus , Gemma avoided going to the dam for the first few days and now she goes and each time she is there she calls for him. I have had a number of sleep disturbed nights as she calls periodically for him in the wee small hours. Each time she sees me when I come home from radiotherapy she waddles over calling - as much to say have you found him!!! She is quite lost without him - he was always there her great white protector!! It really tugs at my heart! I have been thinking a lot about love and acceptance this weekend - I watched a dvd on the weekend which was about a young attractive guy who was all about appearances and success . A modern day tale a bit like beauty and the beast. His life is turned upside down when he loses his looks and the only way he can change back is to find someone to love him as he is. His life has been all about himself and he had little regard for anyone elses feelings! Needless to say it is a lovestory where he learns about himself and what is really important and in the end he gets the girl and finds real love. Just seeing the extraordinary connection between 2 geese and watching this movie just brought to mind again the power of love and connection. In a world that at times is pretty disconnected - how beautiful to believe in and see the power of love. It is something we all need. As in the movie love is not something that we can demand but rather is something that we can give and hopefully receive as another gives. In life we may at times have relationships that break down , at times we may be misunderstood , at times we may be hurt and at times we may hurt others. Yet each of us has our own story , each of us has our own road with twists and turns. I remember years ago reading that old proverb that says 'Never judge a man until you have walked a mile in his moccasins!" I just love that ! We may not really know anothers journey but we can love them along the way. There is a beautiful exchange in the movie where the main character says to the girl. "When I am with you I don't feel ugly anymore"
How wonderful to feel so free and loved that the very thing that seemed to big in his life lost its hold. I was just struck that that is how it is with our heavenly Father and His love for us. He welcomes us with open arms no matter what! He wants to love us no matter what! He wants to be our safe place! He wants that connection with us! One thing about having breast cancer is that all the top dressing is taken away. You are stripped to what lies beneath - what ever that may be. Love is indeed refreshment to the soul. So I guess I am reminded that we should always try to show our love freely, reach out to someone and tell them you care. I know when our own tanks are low this can at times be a challenge - but if we run into the arms of Love itself - we too can receive and be strengthened!
" 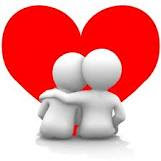 Love allows us to live , and through living we grow in loving !!" Rom 8:35 Can anything separate us from Christ's love? Can trouble or problems or persecution separate us from his love? If we have no food or clothes or face danger or even death, will that separate us from his love? Rom 8:36 As the Scriptures say, "For you we are in danger of death all the time. People think we are worth no more than sheep to be killed." Rom 8:37 But in all these troubles we have complete victory through God, who has shown his love for us. Rom 8:38 Yes, I am sure that nothing can separate us from God's love--not death, life, angels, or ruling spirits. I am sure that nothing now, nothing in the future, no powers, nothing above us or nothing below us--nothing in the whole created world--will ever be able to separate us from the love God has shown us in Christ Jesus our Lord. Hair today - gone tomorrow !!!! 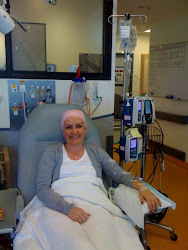 Chemo 3 - yeha all done!! It is finished .... bye bye radiation bye bye !!!!! Let your Light shine on me !! Be bald , be strong ..
My own room with a view ! !